When choosing the best greenhouse for your needs it’s a good idea to take your time and plan carefully. Your new greenhouse is not only an exciting purchase but also an investment for the future. By asking yourself these questions, you can be confident that you have considered the most important decisions you need to take to turn your dream greenhouse into a reality. 1. What is the best position for my garden? 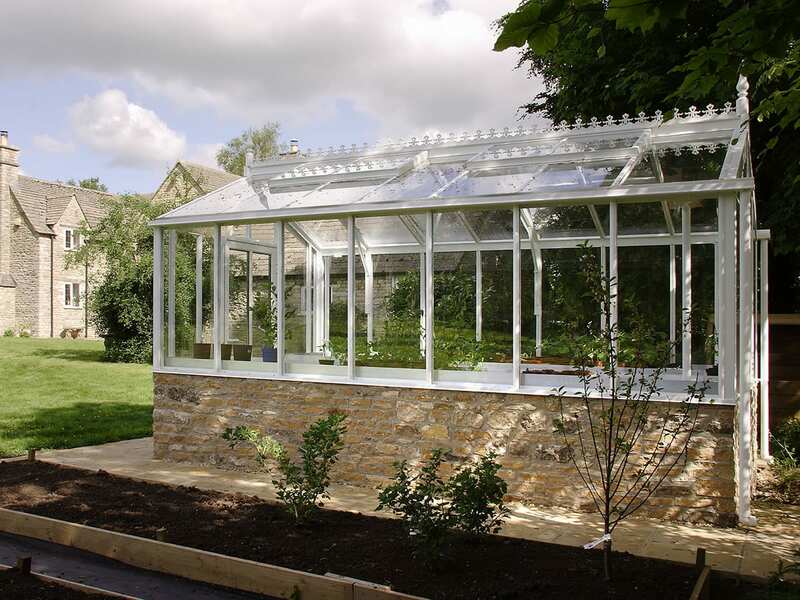 The aim of a greenhouse is to capture as much light and therefore heat as possible. 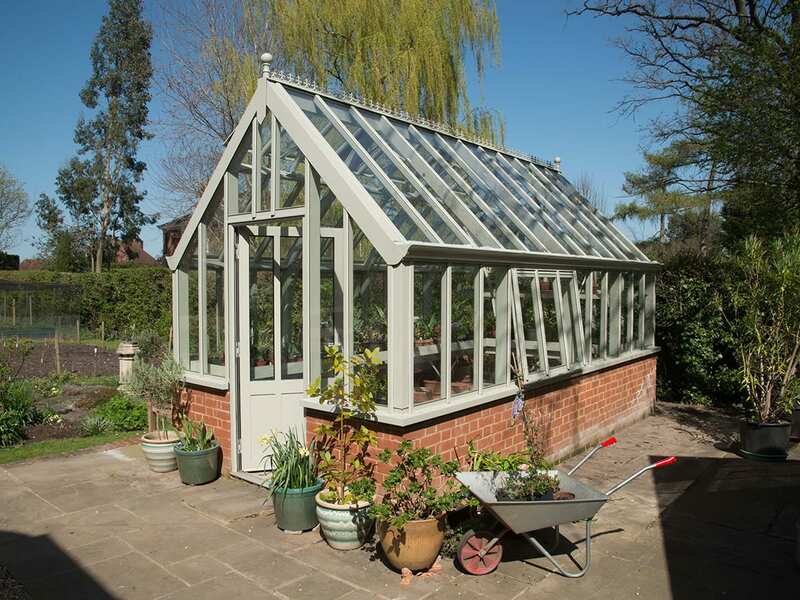 A good greenhouse makes the best use of the available sun all year round, not just the summer, so it is important to think of the position of your greenhouse in relation to the sun and any buildings or trees that are likely to cast shadows. The best scenario is to build a free standing greenhouse with its longest axis running east – west, but this is not always possible. If you do not have the space for a free standing structure, you may want to consider a lean to or 3/4 span greenhouse, where the structure is attached to a wall. The wall acts as a large store for the sun’s heat and collects heat during the day which it emits at night. The best position for a lean to or 3/4 span greenhouse is on a south facing wall. While this sounds fairly simple, keeping track of where trees, walls and other structures cast their shadows can make life a little more complicated. Also trees need to be thought of as sources of falling leaves, twigs and even branches. While a few leaves are merely a yearly annoyance to be cleaned up, a large branch can cause more problems. It’s also advisable to consider how far from the house a greenhouse is. Too far and you won’t use it as much. Of course you may not have all these options to consider but we can still help by suggesting alternative designs that make the best use of your particular situation. 2. What do I want to grow and how might this change in the future? The design of your greenhouse should take into account the type of produce you want to grow and also how this might change over time. 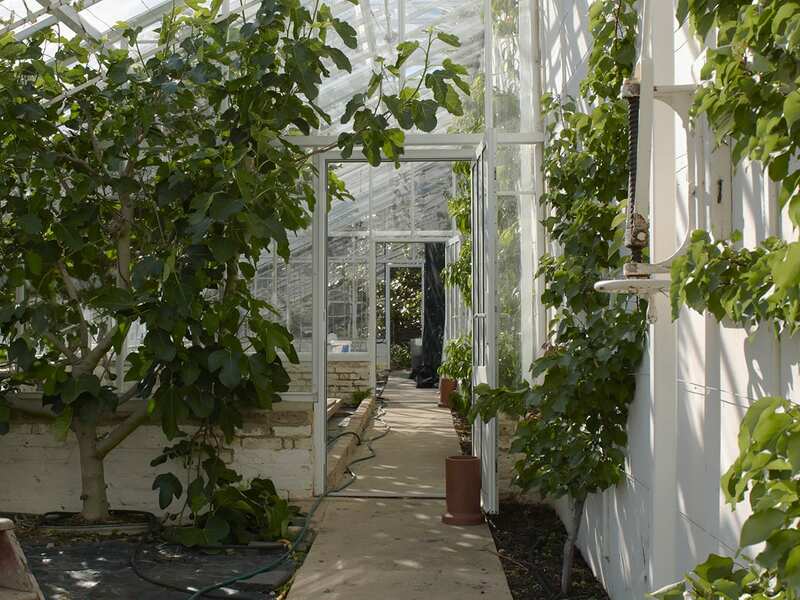 If you are planning to grow climbing plants or tomatoes you should also think about the height of the greenhouse at the eaves and ridge. 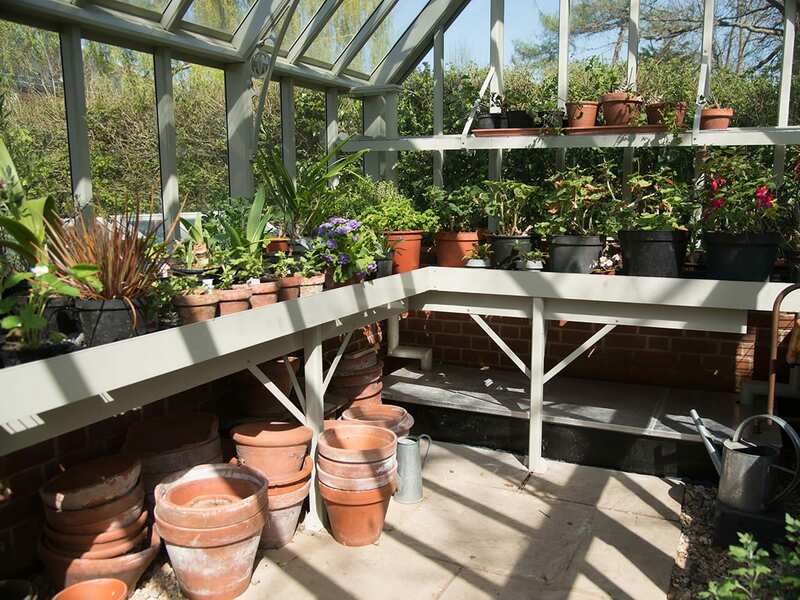 Most people find that they need more space than they originally thought once they start to use their greenhouses and see the growing potential for themselves, so it’s always best to overestimate rather than underestimate your usage. The staging in a Griffin greenhouse is made especially for you and can be designed to be easily adapted by you to accommodate changes in your planting plans. In addition, Griffin offers the best ventilation systems and a full range of accessories (irrigation systems, heating, lighting and shading) giving you as much control as possible over the environment for your plants. 3. What style of greenhouse is right for me? You will probably have a good idea of kind of design that appeals to you, however it is also important to consider the style of greenhouse with regard to your house or other structures nearby. 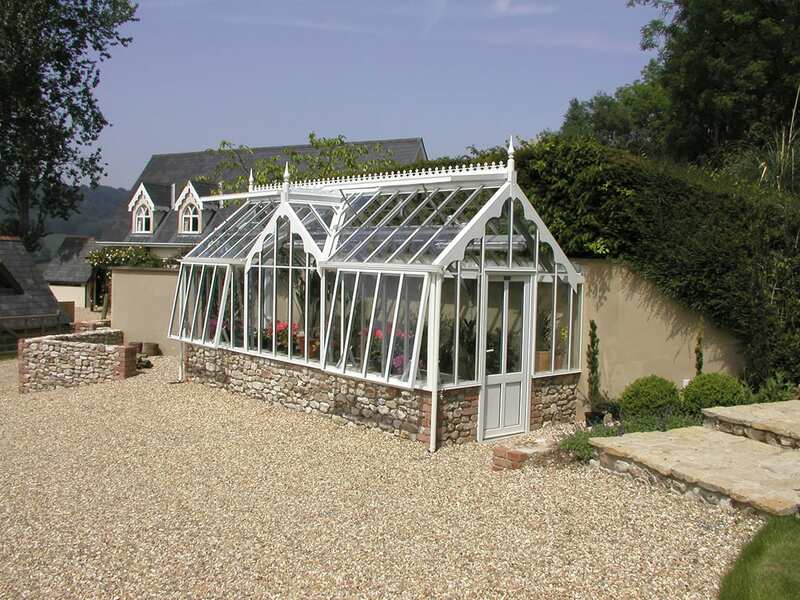 Depending on the look you wish to create from traditional Victorian orangery to more contemporary glasshouse, we can tailor the greenhouse to suit your exact requirements with a full range of roof pitches, glass widths, colours, finishes and accessories. Because we design every greenhouse individually, with Griffin the possibilities really are endless so you are sure to be delighted with the end result – your perfect greenhouse. 4. How much can I afford to spend? Budget is clearly a very personal concern, but probably the most important thing, regardless of your budget is to ensure that you get good value for money. 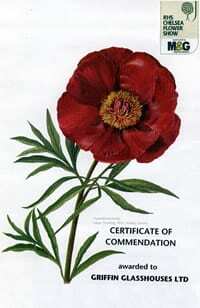 A greenhouse is a much anticipated one-off purchase so it is important to get it right. 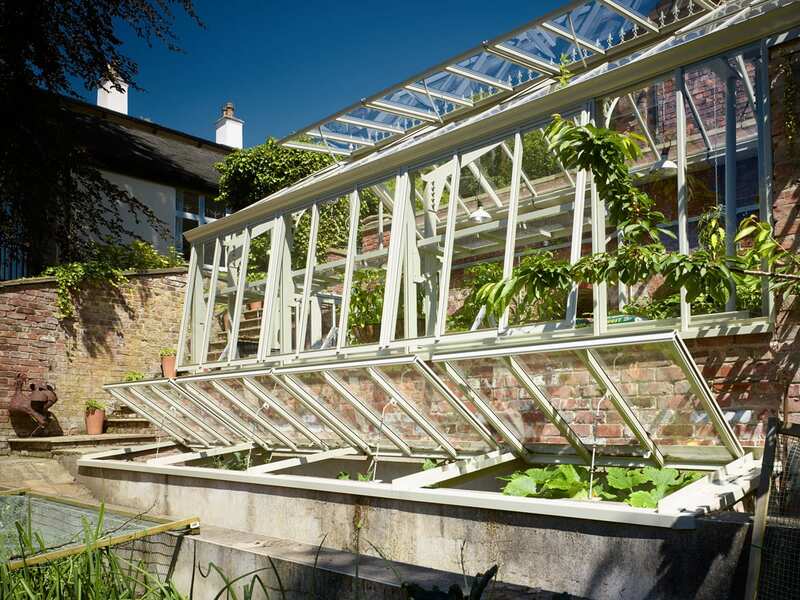 The quality and inherent strength of the greenhouse structure varies considerably from one supplier to another as does the amount of ventilation and other important features such as water storage solutions and adjustable shelving. 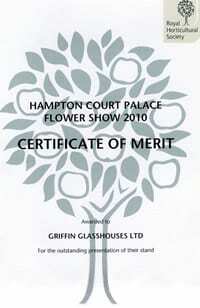 With a Griffin greenhouse you are guaranteed a strong, high quality and fully functional greenhouse. In terms of size, it generally makes sense to opt for the largest greenhouse you can afford as typically the bigger the structure, the more growing space you get for your money. 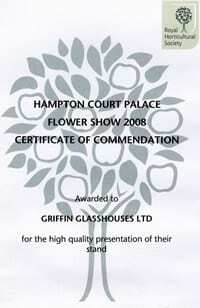 At Griffin, because we have so many design options available to us, we are always happy to work with you to design the best greenhouse possible for your particular budget. 5. Do I need planning consent? 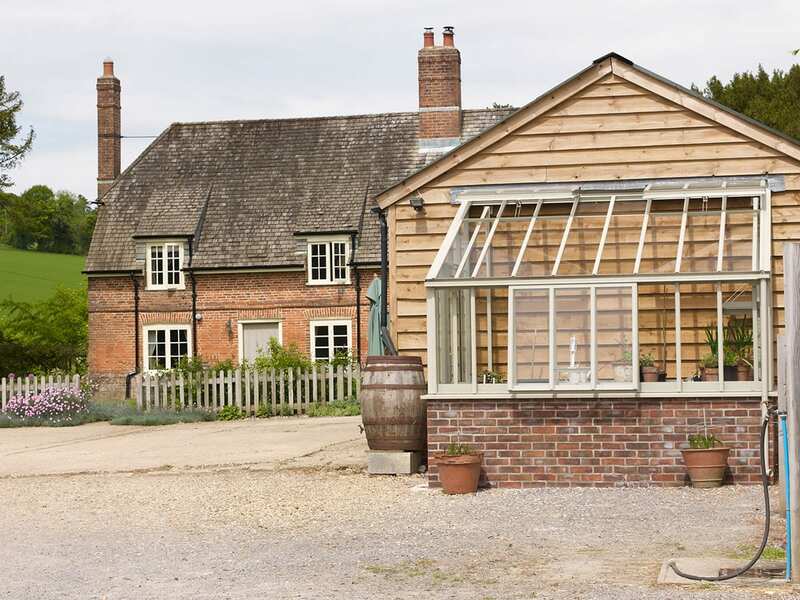 If you live in a listed building or within an area of outstanding natural beauty, a National Park or conservation area then you will need planning consent prior to building or replacing your greenhouse or orangery. We can undertake this aspect of the process for you. Usually we have no problems with planning but it is often worth just a quick call to your local planning office to put your mind at rest. 6. How do I maximise the ventilation? Good ventilation is vital because it enables you to control the environment in the greenhouse to enable your plants to thrive. We design our greenhouses to maximise ventilation using the very best ventilation systems in the industry. Our ridge and eaves gutter design means that we can tailor the ventilation to your exact requirements; full length ventilators can be installed to both the side and roof to maximize the openings and provide a through-flow of air. Depending on your preference, we offer a range of hand operated and fully automatic ventilation systems. Automatic vent units are very popular because they open and close by themselves giving you peace of mind that your greenhouse will always be fully ventilated, even in your absence. Where there is no electricity supply and typically in smaller greenhouses, we tend to use Bayliss hydraulicheck autovents. These are automatic ventilators which open and close using energy from the warmth of the sun or the surrounding air. The hotter it gets, the wider the autovent opens and as the temperature cools the autovent closes. If an electricity supply is available, thermostatically controlled electric rack and pinion vent opening units can be used. The thermostat enables you to pre-set the temperature for the vents to open and close, giving you even more control over your greenhouse environment. 7. How will I manage the watering? A mains tap within the greenhouse is the most obvious way to provide water for your plants. This can be used to fill a watering can or to connect a hose and lance. If you want to make the task of watering easier or if you need peace of mind that your plants will be watered even if you are away on holiday for two weeks at the height of summer, you may want to consider an automatic irrigation system. The simplest way to achieve this is to use a battery operated timing device connected to the tap with a hose feeding a drip irrigation system. You may want to consider an overhead mist system if your plants require a particularly humid environment. If you have a large greenhouse and lots of different crops a computer controlled electric zoned irrigation system is an option. Whilst a mains tap has many benefits, it may prove expensive to arrange if the greenhouse is a long way from your mains supply. Whether you have a mains tap or not, with hosepipe bans and the increasing awareness about environmental issues it makes sense to conserve water by collecting and reusing as much rainwater as possible. When you think how much water you can store within the greenhouse for instant use it becomes a very practical solution, especially as the water is untreated and always at the right temperature for your plants. We suggest the use of large troughs, normally under benching, to store rainwater collected internally by our glasshouse guttering. Our 3m x 0.6m x 0.6m lidded tank stores over 1000 litres (250 gallons) of clean soft rainwater. To water your plants, simply use a hand pump to fill a watering can. Alternatively, if you have an electricity supply in your greenhouse, you may opt to use an electric pump with either an automated irrigation system or a manual hose and lance. 8. 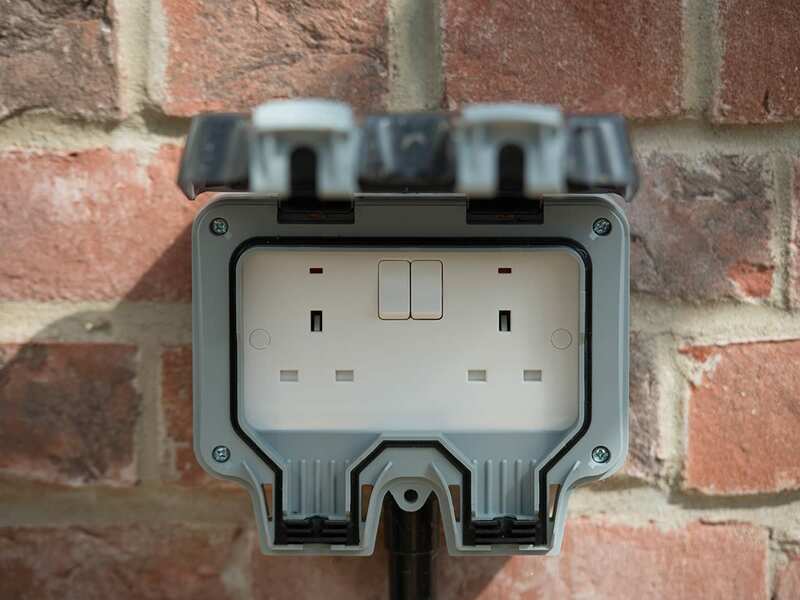 Do I need an electricity supply? An electricity supply is not vital in a greenhouse, though if you do want to run an electrical appliance, for example an electric heater to keep it frost free over the cold winter months or early spring to give seedlings a head start, then a fully waterproof electrical supply is required. If you decide to run electricity to your greenhouse, it opens up other possibilities. For example, you can specify an electric water pump or fully automatic electric ventilation – no more racing to open the vents on a hot morning or to close them during a sudden cold downpour. All you have to do is set the required temperature and the thermostatically controlled system will do all the work for you. Another option is lighting. Not everyone wants to pot up all night, but with lights you can at least extend the time you do spend in your greenhouse. Our customers find many other uses for an electricity supply – among the items we have found when we’ve returned to visit are propagation benches, radios, kettles and even an exercise bike and a beer fridge! 9. Will I be able to get a wheelbarrow through the door? This may seem obvious, but you would be amazed at how many people overlook the practical issue of access to their greenhouse. All Griffin greenhouses have doors with an opening wide enough to allow access for a wheelbarrow or wheelchair (unless of course we are replacing an existing greenhouse with a narrower existing door width). 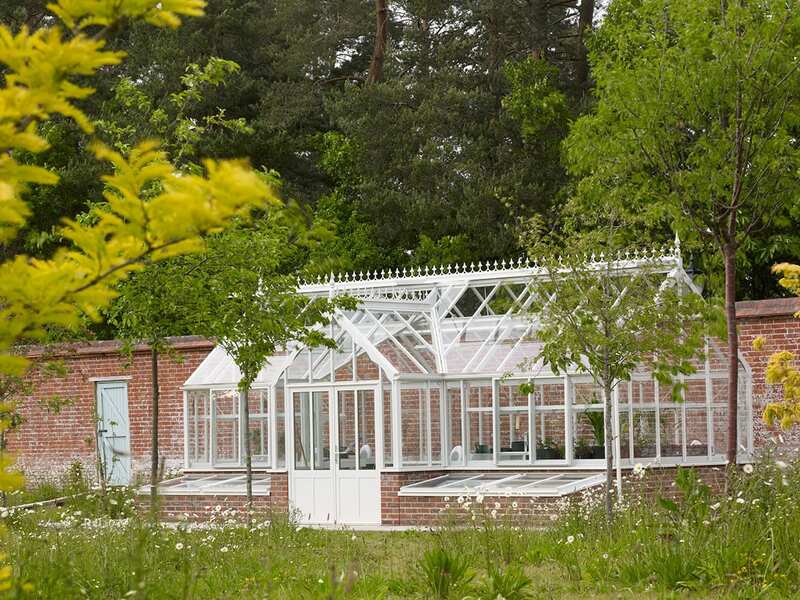 We make our own double glazed aluminium doors which are colour-matched to the greenhouse. You can choose single or double doors and we can tailor any door to your specific requirement. 10. What are the maintenance costs? As with any major purchase decision, it is important to consider not only the initial cost but also the on-going cost of ownership of your greenhouse. As well as the financial cost, think about the time needed to maintain your greenhouse, whether this involves doing it yourself or organising somebody to work on your behalf. Griffin’s greenhouses are designed to be beautiful and to last a lifetime. 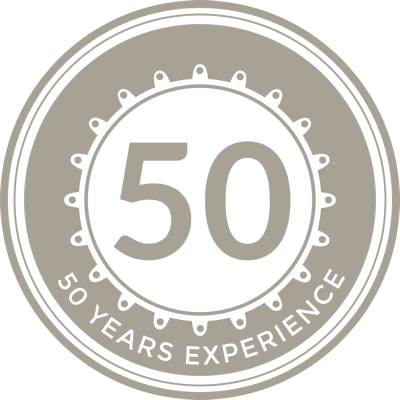 Our greenhouses are manufactured in aluminium and steel, which is powder coated in any colour of your choice and designed to be resistant to corrosion. Unlike wooden structures that require sanding and staining or repainting every few years, all you need to do to keep your Griffin greenhouse looking as good as new is to power wash it inside and out and oil the door lock and pinions if fitted. In the unlikely event that a pane of glass breaks, replacing it is very straightforward and, of course, we are always on hand and more than happy to give you our help and advice on any aspect of maintenance. 11. What if I don’t want a “normal” greenhouse? Perhaps you really want a greenhouse but have a particular problem with the size or layout of your property and so you are struggling to find a solution. 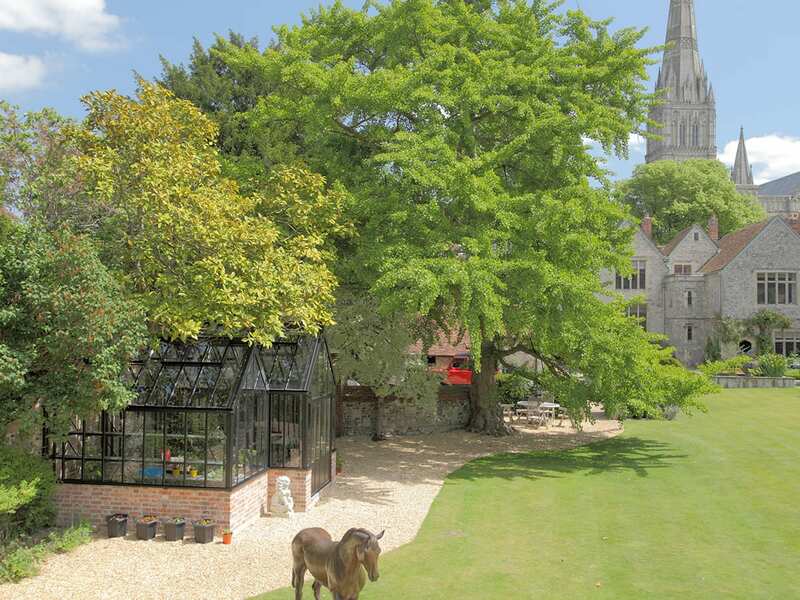 Maybe you have an idea for a glass structure that is not a simple, straightforward greenhouse and you are not even intending to use it for plants. Griffin can design whatever you want – large or small, simple or more involved – we even design greenhouses for sloping sites or to go around corners. Whilst our main business is glasshouses, this doesn’t mean that we can’t design something to solve a problem for you. Whether you want a rain proof corridor to join different buildings together or a room to act as a storm porch, one of our glass structures can often be the answer. 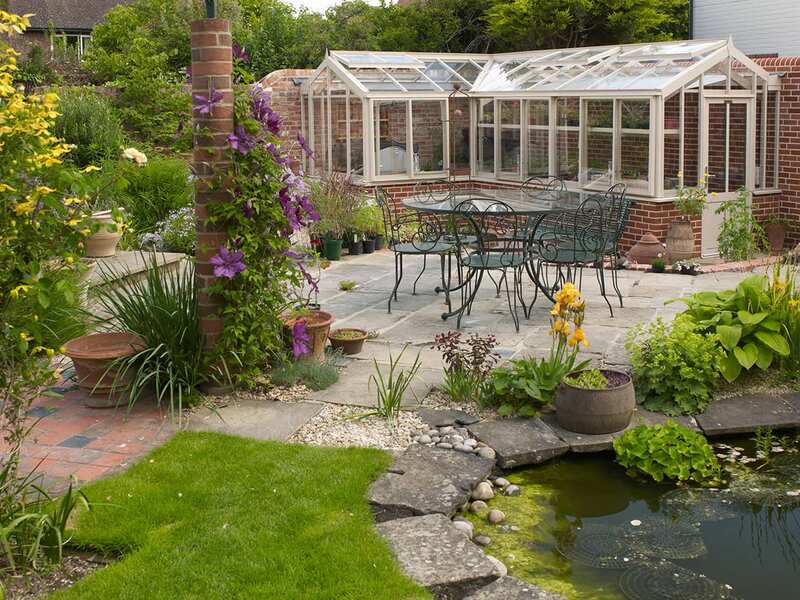 An orangery can be the ideal substitute for a free standing greenhouse if you have a very small garden or even no garden at all. 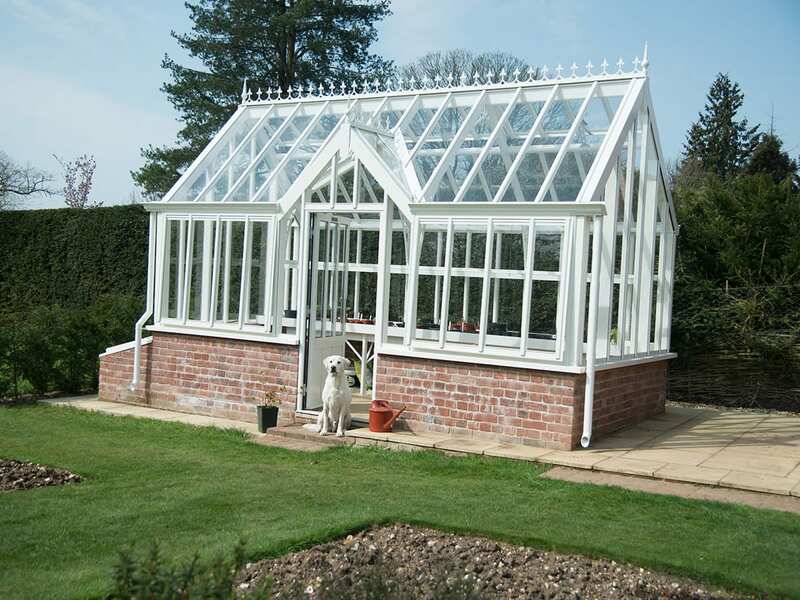 It’s important to remember that our greenhouses, glasshouses and orangeries are single glazed so will, under certain conditions, form condensation. Our patented capping system acts as an insulator to our glazing bars and any condensation is channelled away within the structure to the exterior. Even so, although we can design a useful ‘room’ for you, we do not recommend that you use one of our glasshouses as a conservatory. 12. What if I change my mind later? 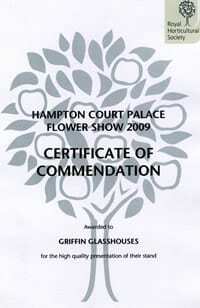 When you buy from Griffin, you are assured of our personal service. If you need to completely change the internal staging or if you want to add cold frames, shading, automatic irrigation or electric vents we will be more than happy to help. In the unlikely event that you decide that you would like to extend or even move your glasshouse completely, we can do that for you too. 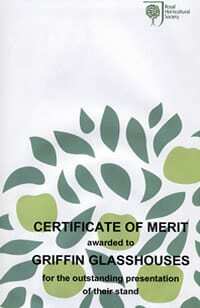 Registered Office: Wise & Co, Wey Court West, Union Road, Farnham, Surrey, GU9 7PT. Registered in England No. 1786962.